After eating the chicken breast pizza rolls and the Italian cheese bread from the last couple of posts I wanted to top the meal off with something easy, but delicious. And with it being the fall season I really wanted to make a dessert with apples. I really enjoy making pies and wanted to make an apple pie, but not an ordinary everyday apple pie, I wanted something special. Since caramel and apples are such a delicious combination; I decided on a caramel apple pie. Most the recipes that I found on the web called for caramel ice cream topping drizzled over the bake pie, but I wanted to bake the caramel in the pie. So I decided on combining a few recipes to come up with my own caramel apple pie. The apples in this pie were wrapped in cinnamon and caramel, it really was a wonderful combination. 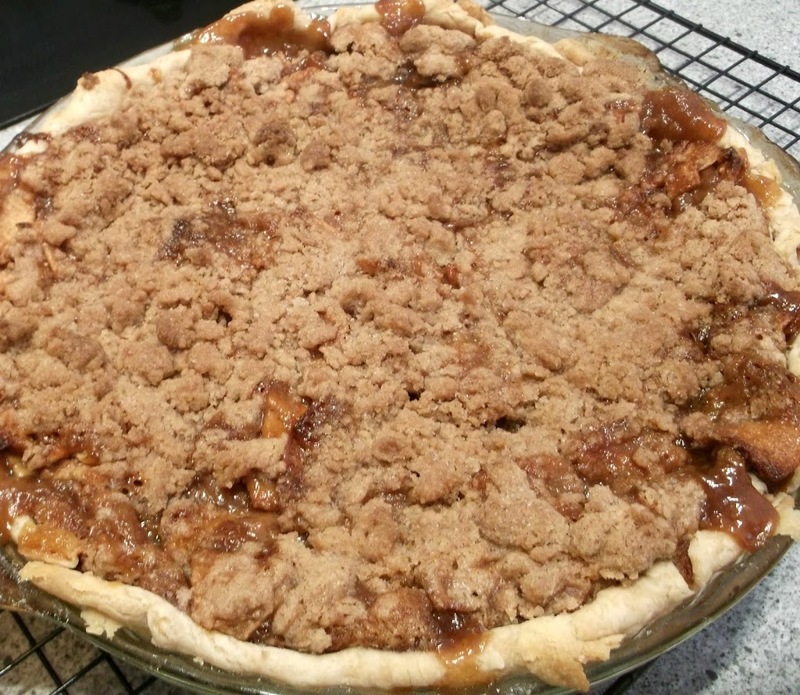 For me I prefer my apple pies with a crumb topping. 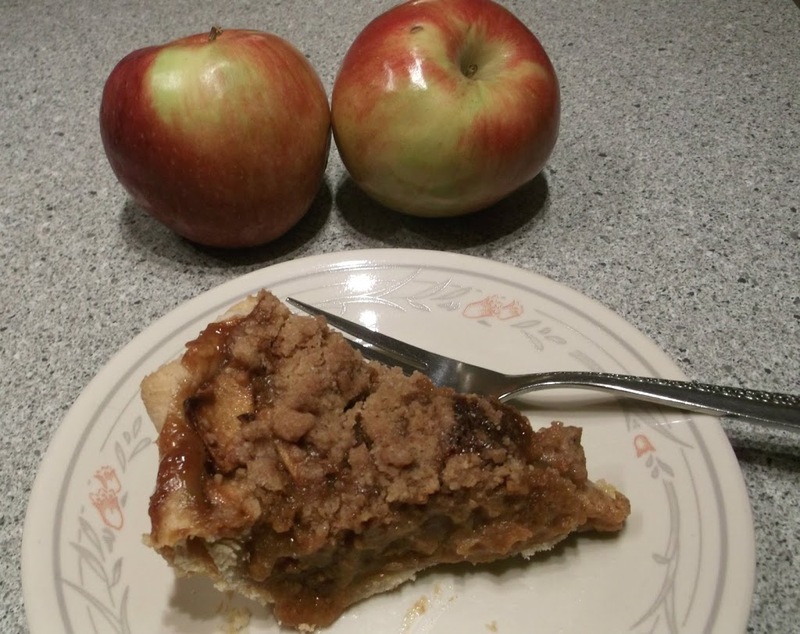 A two crusted apple pie is good, but there is something about the butter and sugar crumble that give the apple pie a little more flavor and I like the crispiness of the crumble. 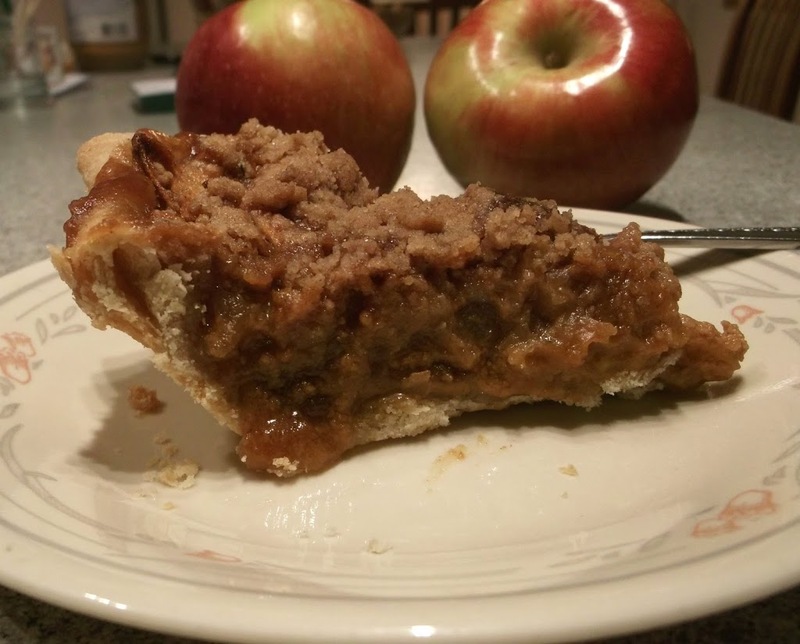 Who doesn’t love a good caramel apple; making the combination into a pie just makes it easier to eat. Unwrap the caramels and place them in a medium saucepan add the cream and melt them over a low heat. While the caramels are melting prepare the apple mixture. Once the apples are peeled place them in a large bowl and set aside. In a small bowl combine the sugars, flour, and cinnamon mix well. Pour the sugar mixture over the apples and toss well, making sure that all the apples are coated well. Take the melted caramel and drizzle about one-third of it on the bottom of the pie shell, on top of the caramel place one-half of the apples, next drizzle another one-third of the caramel over the apples, continue with the other half of the apples and then finish with the last one-third of the caramel. For the topping mix together the flour, sugar, butter, and cinnamon. Sprinkle the mixture over top of the filling. Bake in a preheated 400 degree F for 15 minutes. Reduce heat to 350 degrees F and continue baking for another 45 to 50 minutes, until the apples are tender. Apple pies are my favorite, this sounds & looks so delicious! Carmel and apples is such a great flavor combo. Love this pie, and your topping is perfect for it (I think a crust topping would lose both flavor and visual appeal). Really good stuff – thanks. What a wonderful looking pie! Truly drool worthy. Oooh, boy…this pie is irresistible!!! Wow.